Tinopai is the perfect rural hideaway - far from glitzy tourist attractions. Safe beaches, good fishing, peaceful environment and friendly people. 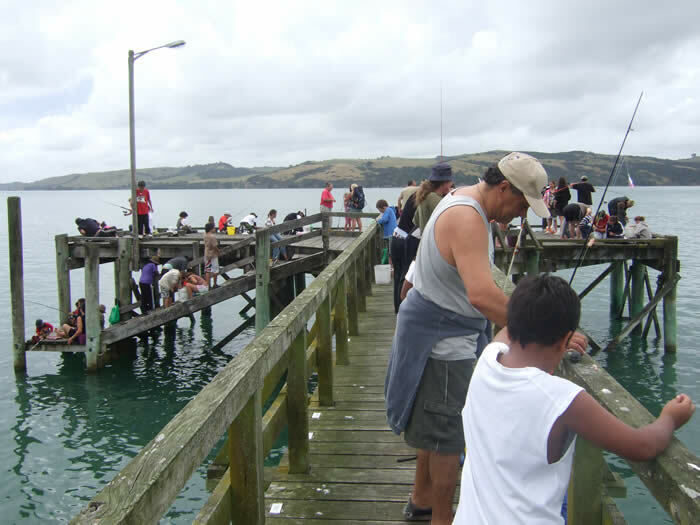 With a population of 400 that peaks at over 1000 over the summer holiday period, Tinopai features a general store, a Camping Ground, and a local fishing fleet. Tinopai offers the closest access point to the west coast - great marlin fishing. Alternatively, get away from everything and go out exploring the vast Kaipara Harbour - the backbone of New Zealand's early forestry industry. A short drive out from Tinopai, and a relaxing walk to Sandy Beach. Far from crowds, you might have to share the beach with one or two other families on the busy days. Also, be sure to explore the Hukatere Scenic Reserve while you are visiting Tinopai. Just 5 minutes on the road back to Matakohe, the reserve provides a glimpse of New Zealand the way it used to be.